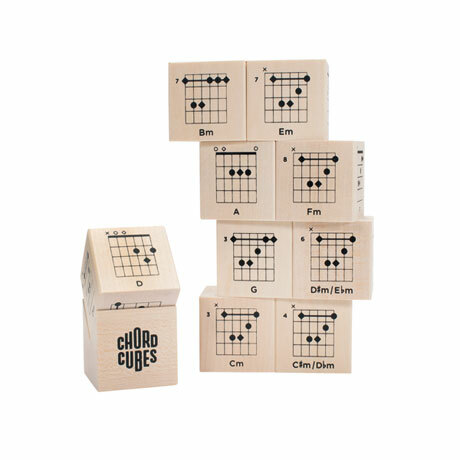 Functional and fun cubes with chords for guitar give you the basic chords you need to play all the hits while doubling as an interactive piece of eye candy for the coffee table. Nine cubes with 54 chord diagrams - Major, Minor, and Dominant 7th chords in open and barre configurations plus the associated sharps and flats. 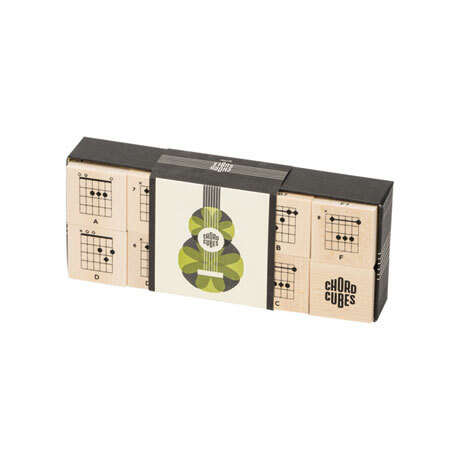 A block stand helps avoid painful neck strain by creating the optimal chord viewing angle while learning to play. Set includes 9 1.75" basswood cubes and a V-tray block stand. Ages 2 and up. Made in the USA.